One of the best budget DSLRs available? Review We’ve all been there: you go into a store with a fixed budget in mind then spot a product that makes you think: 'Hmm. If I spend a bit more, I can get an even better model than the one I had planned for.' 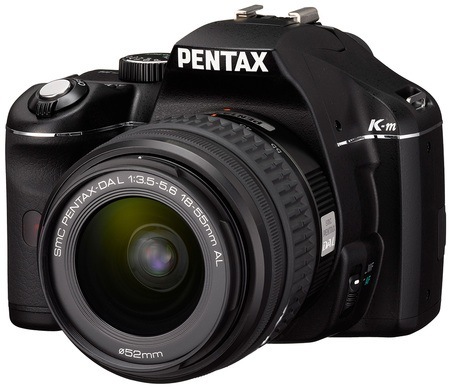 Well, if you’re setting out to buy a high-end digital compact, you could well change your mind if you clamp your eyes on the Pentax K-m digital SLR. Not to beat about the bush, it’s one of the best entry-level DSLRs we’ve seen, and at less than £400 - or £350 if you’re prepared to shop around online - it represents fantastic value for money. 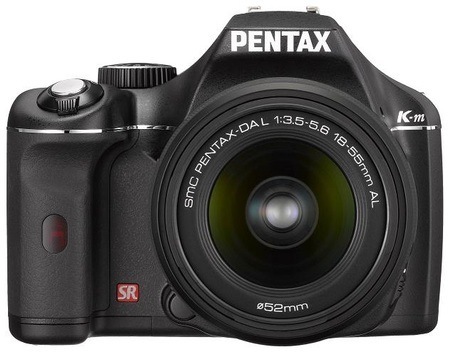 Don’t get us wrong: the K-m isn’t perfect, but we think Pentax has done a great job in delivering a DSLR that offers good performance and good specifications at this price point. So what has Pentax packed into the K-m? There’s a 10.2Mp CCD - the sensor measures 23.5 x 15mm - dust-removal technology based on a protective coat and vibration system; a shake-reduction system; and lashings of automatic and manual features – more on these later. The K-m is a compact DSLR, measuring 122.5 x 91.5 x 67.5mm and weighing 525g without battery and memory card. It’s not the smallest DSLR around, but it sure comes close. The camera body feels solid, so Pentax clearly hasn’t cut costs by providing a body that’s as robust as a wet lettuce. The K-m uses a KAF2 lens-mount and the kit comes with an 18-55mm lens. Moving from left to right along the top, there’s a hot shoe, large mode dial, exposure compensation button and help button. If you’re not sure what a particular button does, the latter can provide a text description on the LCD screen. It goes without saying that, after using the K-m for a while, the help button becomes somewhat redundant, so it’s good that you can assign one of a list of other functions to it. The options include a digital preview feature, which displays a histogram for checking exposure. At the very front is the power on/off switch and shutter button.